Ike Diogu attended Arizona State University where he won PAC-10 freshman of the Year, and the PAC-10 Player of the Year in his final season with ASU. He then went on to play for the Golden State Warriors in the NBA from 2005-2012. 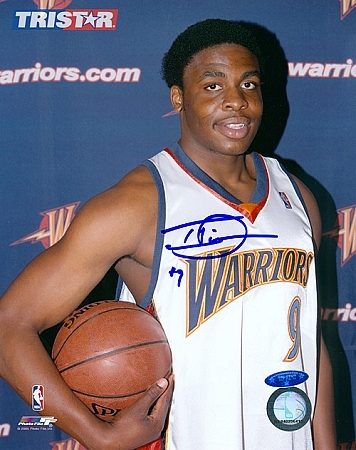 Ike Diogu has personally hand signed these photos. Each Ike Diogu autographed photo is guaranteed authentic, and includes an individually numbered TRISTAR Authentic hologram. You can verify the authenticity of your autograph by entering your hologram number online at www.tristarauthentic.com.